UT Idea Lab | The first batch of pre-acceleration program EstLat-Accelerate has finished! The first batch of pre-acceleration program EstLat-Accelerate has finished! 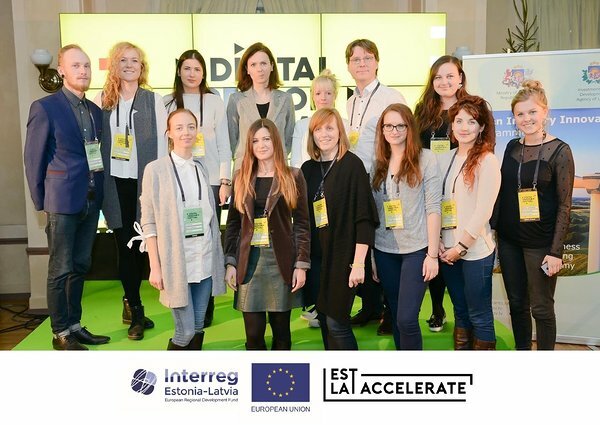 The EstLat-Accelerate pre-acceleration program is created by joining forces of active startup ecosystem representatives from Latvia and Estonia - TechHub Riga, Latvian Startup Association Startin.LV, Garage48, Tartu University IdeaLab, and Baltic Innovation Agency. The first program started in September of 2017 with the pre-hackathon ideation day, where all enthusiasts with ideas or IT experts had the chance to meet before the Garage48 Hardware & Arts hackathon, that for the first time took place in Riga and generated an impressive amount of attendees and qualitative ideas. The winner of the hackathon and two more teams were selected into the EstLat-Accelerate program. The program consisted of 12 early stage startups - six from Latvia and six from Estonia.The official start of the pre-acceleration program was on October 12 at the Mentoring Academy in Tartu, where teams experienced speed mentoring sessions and workshop on finding your customers. Later, the startups continued to work in their teams, supplemented with regular one-on-one coaching sessions and special workshops, such as marketing, pitch practice and fireside chats with successful startups, who already have experienced life in world-famous accelerators - Techstars and 500 Startups. The first batch finished with two Demo Days - one in Riga and one in Tartu. 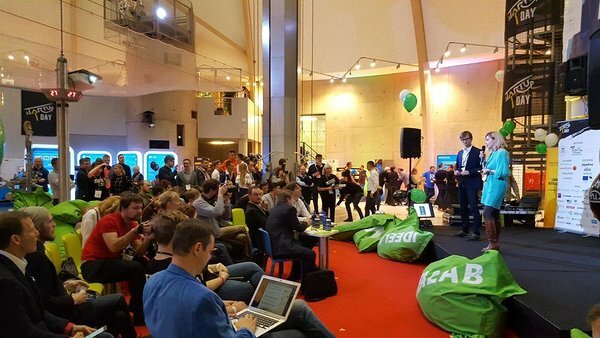 In Riga, teams had gathered at the Digital Freedom Festival, where they pitched on the Green Innovation Lounge stage to the audience and jury. The winning team of the pitching competition was 'UpMatched', and they won a fast track pass to Latvia’s Business Angel Network (LatBAN) monthly presentation session and free tickets to the startup conference TechChill. First runner-up team 'FoodyCheck' also got free tickets to TechChill. The second Demo Day happened at sTARTUp Day in Tartu, where our teams pitched on the Tartu University Idea Lab stage and the jury decided that winner is 'FoodyCheck', which won free tickets to the next Latitude59 conference in Tallinn, and the next runner-up 'Ingenium' received a 3-month free use of TechHub Riga co-working space as their prize. Co-founder of the winning team FoodyCheck Mara Lasmane says: "EstLat-Accelerate is a motivating pre-acceleration program that helped us develop our startup. Within the framework of the program, we met with many professional mentors, both in business strategy and presentation ideas, and we got valuable contacts, including the ones that are specific to our industry." StartLegal (Estonia) - A chatbot that helps people to get access to legal help and receive legal advice. EstLat-Accelerate is supported by ERDF programme 'Interreg Estonia - Latvia 2014 – 2020'. The programme is implemented under the European territorial cooperation goal of the cohesion policy and it supports cross-border cooperation.